It’s no surprise that Theresa Bush chose Human Resources (HR) as a career path. Since 2016, Bush has been leading HR, security and health services for Aera. “My job is to make sure we’re attracting, developing, engaging and retaining the right talent,” notes Bush. Bush has more than 20 years of HR experience, primarily in the oil and gas industry. Prior to joining Aera, Bush served as HR Director with Occidental Petroleum, where she provided leadership and strategic direction for corporate HR, talent acquisition/management, occupational health and travel. 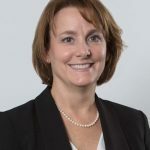 During her Oxy tenure, she held a variety of HR leadership positions with the upstream and downstream segments of the business in Texas, Delaware, Pennsylvania, Louisiana, California and Qatar. Bush values HR’s influence at Aera. “HR ensures our business decisions enable a work environment where people and the organization can succeed collectively,” she says. Bush earned a bachelor’s degree in business administration/human resources from Rockhurst University in Kansas City, Mo. Her volunteer work has included mentoring military veterans in Texas and California.